Welcome to 1 2 3 exclusively! 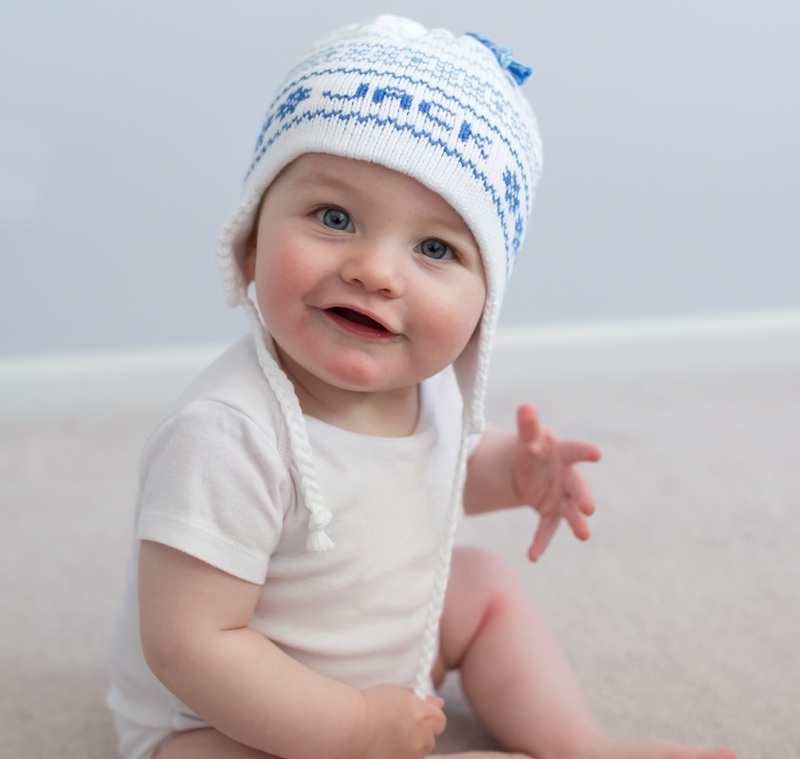 100% cotton, original, hand-knit hats and sweaters for infants and toddlers. Our clothing is unique and special. 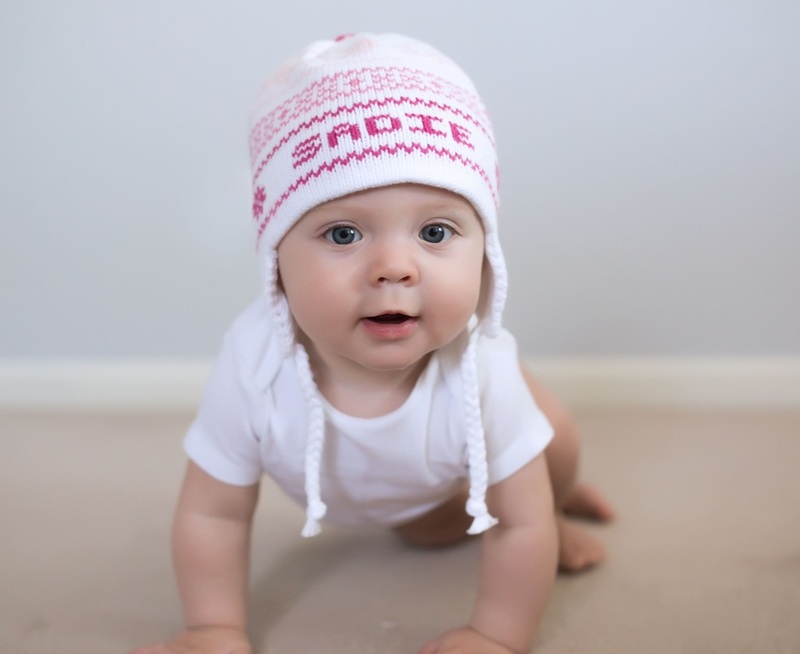 Children love the soft cotton and colorful designs. If you don't see the colors you are looking for check out the color options page. 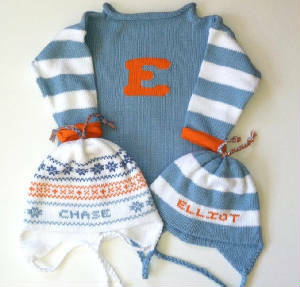 New parents are delighted to receive a personalized gift for their baby. All of our designs can be personalized. Jazz it up with a little orange! ...choose the hipster look, these hats are shown in olive, natural, charcoal and dark chocolate. We also carry reversible polka dot cotton blankets by David Fussenegger in several color combinations. They look so cute with the hats! A hat and coordinating blanket is a great gift option. If you'd like have a pompom attached to your hat instead of the braided tassels. For an occasional update like us on Facebook. 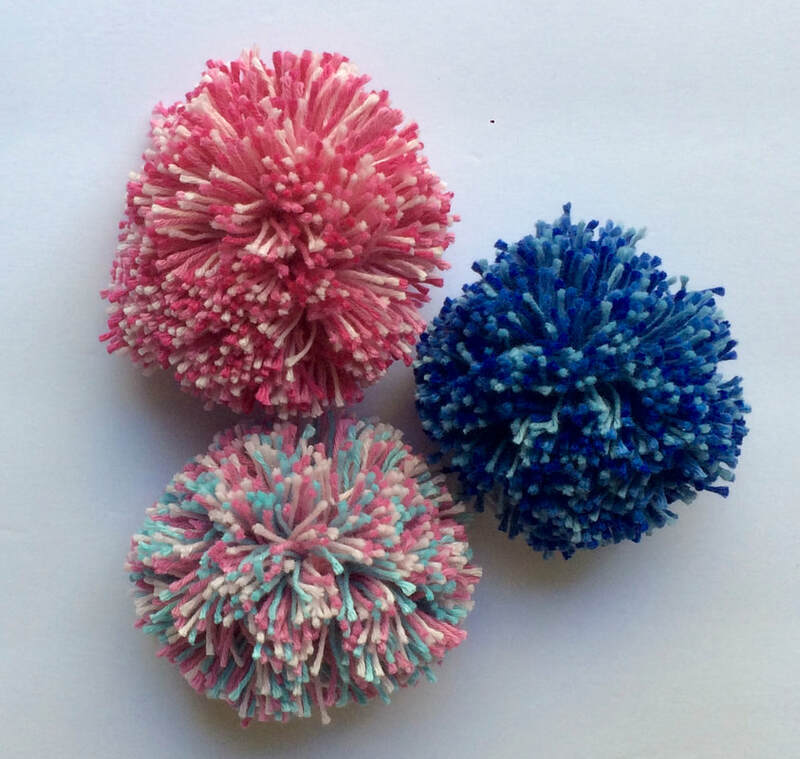 Have a pompom attached to match your hat, $5 per pompom. For fun Andrew is in lime green, picture the name in the color of your choice try red, french blue or bright pink?